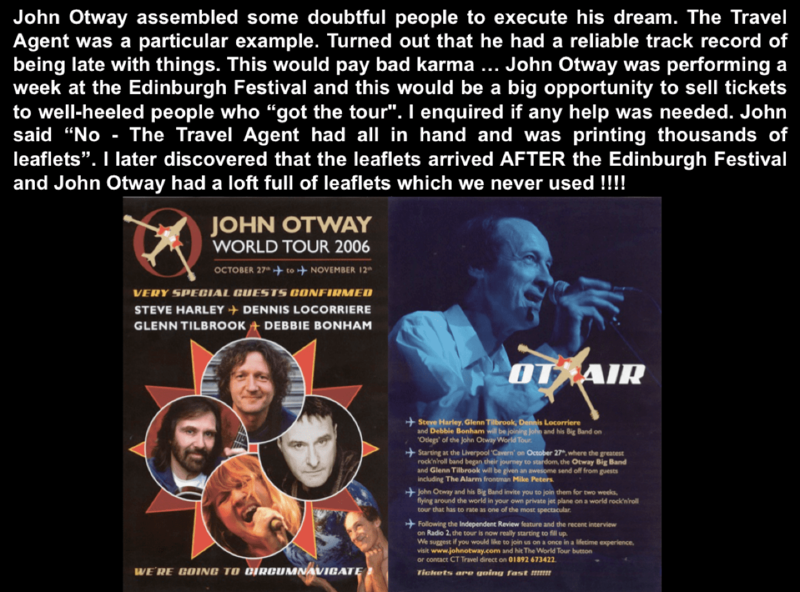 How John’s “aviation expert” hired a jet that was too big to take off from John Lennon airport! How we managed to book the Sydney Opera House for a punk rock concert, having been turned down by the Carnegie Hall, Madison Square Gardens and CBGB’s. How John’s “professional travel agent” managed to lose 50% of the paid up passengers on the tour, effectively crippling the enterprise. It took my insertion of a an unemployed drummer at the travel agent’s offices to stabilise matters, although by this time, it was too late. The travel agent also printed thousands of leaflets for a week long residence at The Edinburgh Festival which arrived in Edinburgh AFTER the festival had ended ! You don’t need a business degree to know that it’s impossible to sell an idea if you produce your marketing materials after the opportunity is over. Our slide deck from the evening in London is attached below. Contact us to find out more about customised versions of the showcase around the world. Peter Cook leads Human Dynamics, offering Business and Organisation Development. He also delivers keynotes around the world that blend business intelligence with parallel lessons from music via The Academy of Rock. Author of and contributor to twelve books on business leadership, acclaimed by Tom Peters, Professors Charles Handy, Adrian Furnham and Harvey Goldsmith CBE. His three passions are science, business and music, having led innovation teams for 18 years to develop life-saving drugs including the first treatments for HIV / AIDS, Herpes and the development of Human Insulin. 18 years in academia and 18 + years running his businesses. All his life since the age of four playing music. He works with Sir Richard Branson’s first hire at Virgin Atlantic to give talks on Failure and it’s value in Success and writes for Virgin.